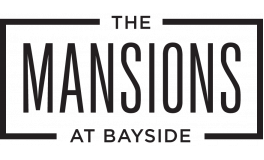 Of all the amenities available at The Towers at Bayside, our unbeatable location might just be the best. Here you will find the best apartments in Rowlett, Texas. You’ll live surrounded by the very best restaurants, shopping experiences, and entertainment venues in Texas. You’ll also discover world-class destinations are right around the corner. Experience all that Dallas has to offer just a short drive away, while enjoying the peacefulness of being removed from the city. Located next to I-30 and off of the glorious Lake Ray Hubbard, you’ll have everything you could want from a beautiful scenic location matched with all the excitement the nearby big city can offer. Discover the beauty of our picturesque location firsthand and schedule a tour today!